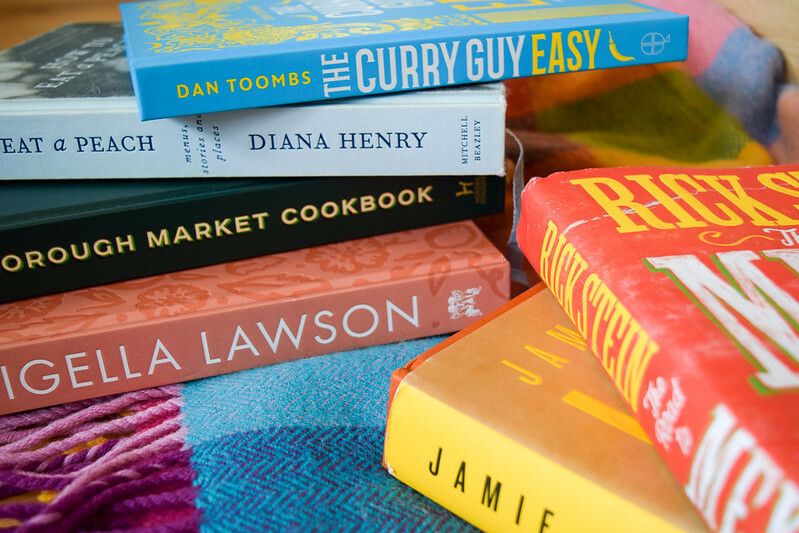 Most years I try and put together a post about the cookbooks I’ve really enjoyed over the past year to try and help you all out when it comes to Christmas gifts for your foodie friends (and to give you some idea what to spend all those Amazon vouchers you’ll no doubt be gifted on!) 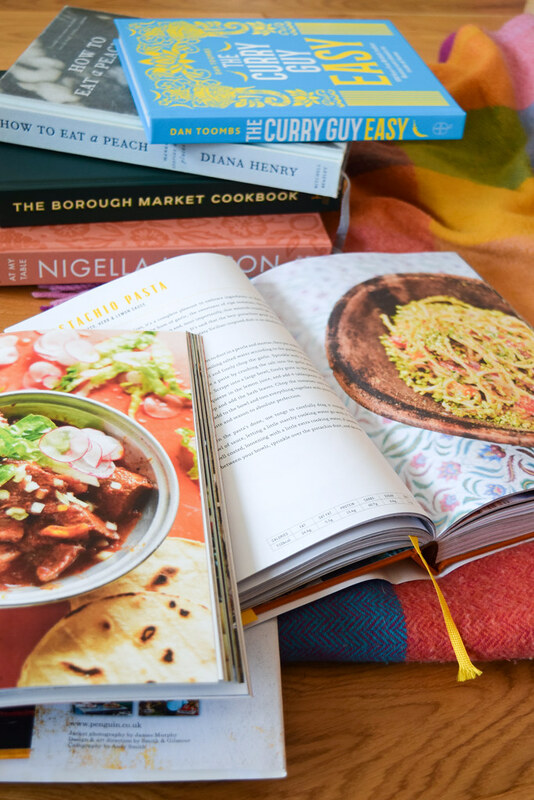 and this year I’ve teamed up with The Book People so that you can also be in with a chance of winning your own stack of my six favourite cookbooks this year! 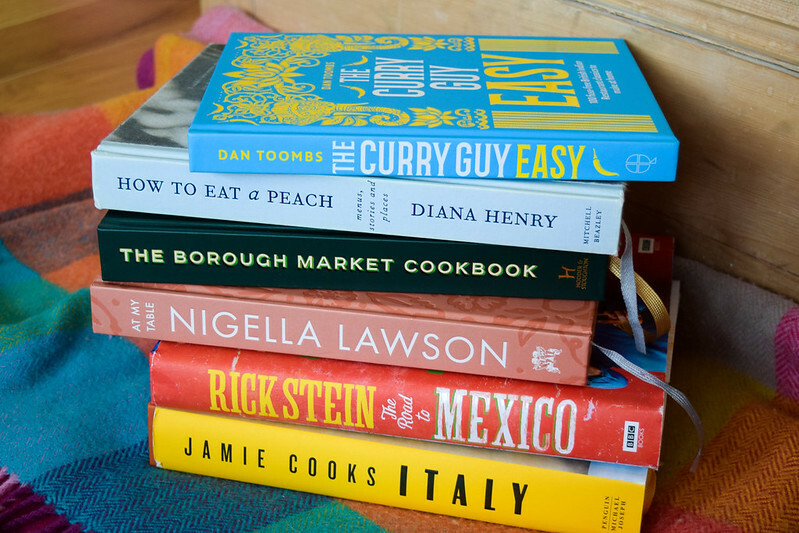 Keep reading to find out why I’ve really enjoyed cooking from and reading these books this year, and head over to my Instagram where you can find out how to get your hands on this stack of excellent cookbooks! This book was a gift to me from our publishers (Rick Stein and I share one) and it was something I’d been looking forward to since he told me at a summer party his next book and show was going to take the road down the Californian coast (a place with a very special place in my heart) and down into Mexico. I was in the process of moving so while I indulged in the show, the book waited until the beginning of this year. While you may need to get online to seek some of the ingredients, I love how it simplifies and makes traditional, authentic Mexican cooking (not Tex-Mex) accessible in a British kitchen when I was already frustrated I could not find half the Mexican ingredients I was used to in Los Angeles. So far it has taught me how to make my new favourite Mexican Prawn Cocktails and my first ever plate of Enchiladas, something I’ve never been able to eat with all that cheese – it turns out they’re not traditionally smothered with the stuff, and the traditional Mexican cheese that top them has a close cousin in buffalo mozzarella, which is very Rachel friendly. A few more recipes on my to make list for 2019: Prawn Empanadas, Refried Beans, Deep Fried Coconut Prawns with Papaya Dipping Sauce and Pulled Chicken Tinga. My copy of At My Table is signed from a book signing in Canterbury, and I was reminded all over again why Nigella is such an incredible writer when I basically read it cover to cover on the way home. I’ve had some great meals from the book including the beef meatball dish that I played around with a bit to create my One Pot Lamb Meatballs with Orzo and Feta, some delicious Olive Oil Chocolate Mousse with Fleur de Sel, and an incredible dish of chicken thighs braised with peas and leeks in vermouth, which has to be one of the best things I’ve made in forever. 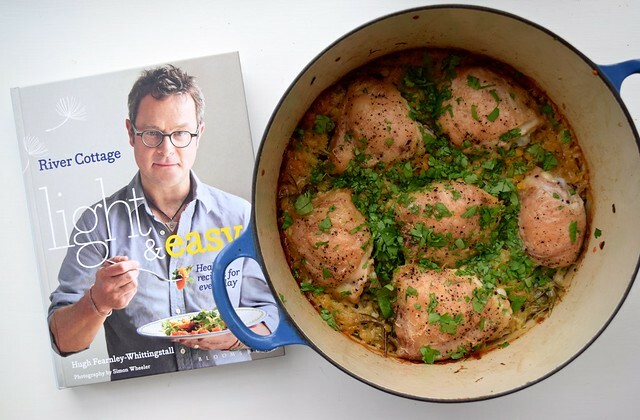 The chicken was so good it makes up from the fact the book has no chapters or sections, and that the recipes are in a really random order, which drives me around the bend! From the book some things I want to make in 2019: Parmesan French Toast, Toasted Goats Cheese, Parma Ham & Fig Sandwich, Flash-fried Squid with Tequila Salsa, Apple Pork Chops with Sauerkraut Slaw, Smashed Chickpeas with Garlic, Lemon & Chilli, Bashed Cucumber & Radish Salad, and Pear & Passion Fruit Chutney. While I’ve not cooked anything properly yet from The Borough Market Cookbook it makes my cut as it is a truly excellent champion of imaginative, seasonal cooking and I’ve found ideas and flavour combinations from the book sneaking into my cooking and development without needing to actually follow a recipe to the letter. Borough Market was the first place I headed each week after moving back from Los Angeles to stave off my cravings for my old SoCal farmers market, and I love how this book also includes essays and anecdotes from their little corner of London Bridge which really help bring our food – and who produces it – to life. 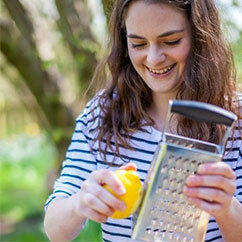 A few recipes I want to try: Corn on the Cob with Honey, Thyme & Paprika Butter, Sage & Honey Baked Figs with Ginger Butter Biscuits & Creme Fraiche, Golden Beetroot, Carrot & Ginger Drinking Vinegar, Parsnip, Pea & Pork Traybake, Veal Chops with Anchovy-dressed Puntarelle, and Pheasant, Leek & Chestnut Pie. Another signed copy that I had already read cover to cover, this time from The Wealden Literary Festival. 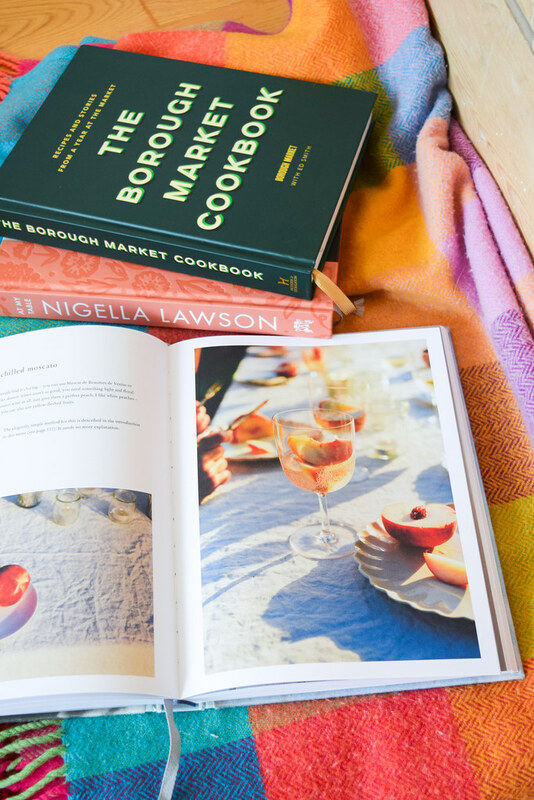 More beautiful, transformative food writing you need in your life if you’re one to read a book cover to cover as well as look at the recipes; it also inspired this years Italian Summertime Lunch Party. 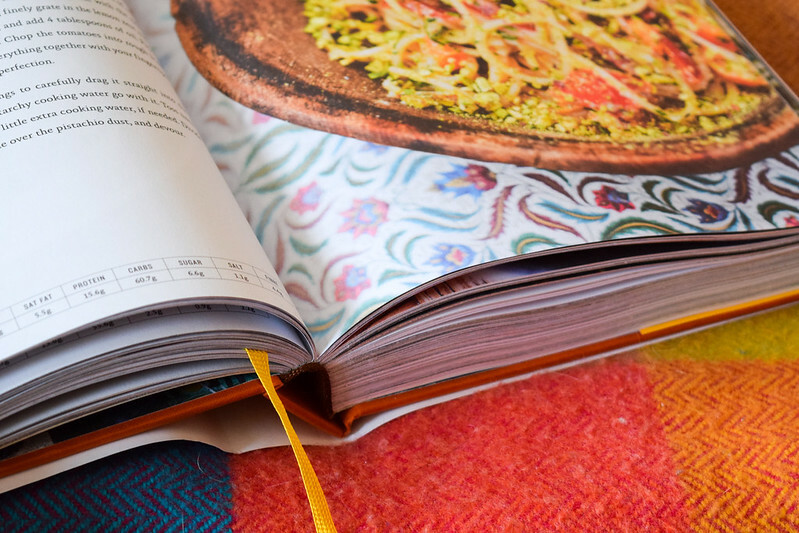 What makes this book different is that as well as being in a seasonal format, it is a book of menus with the corresponding recipes, rather than just a cookbook. 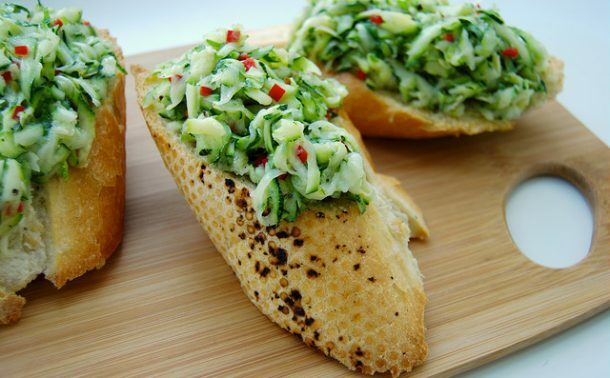 If this does not make you want to have people over so you can transport them elsewhere with a perfectly crafted menu and atmosphere, I don’t know what will. I left this book in Kent after the festival so while I’ve not actually had the chance to cook from it yet, I can tell you that the Strawberry & Buttermilk Ice Cream is as curious as it delicious; my mother had clearly been cooking from my copy as I found some in the freezer! A few things I want to add to future menus: Crab, Saffron & Tomato Tart, Sweet Pickled Cherries, Baked Tomatoes with Anchovies, Slow Roast Duck Legs with Sweet & Sour Plums, Ox Cheeks in Red Wine with Polenta, Pork Braised in Olive Oil, and Aperol Spritz Jellies. 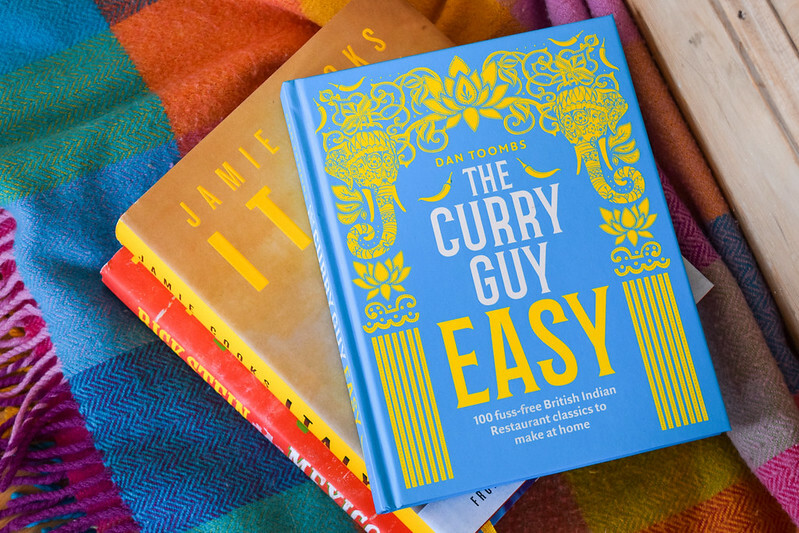 Another book I’ve not actually cooked from yet, The Curry Guy Easy makes the cut because it has taught me so much about British-Indian cookery. I’ve only got into Indian cooking recently, and as even the base techniques have are so radically different to what I’m used to it has taken a lot of effort to start creating dishes even similar to what we love to order in. While I’ve been devouring books on traditional Indian cookery from across India, it is this book that has helped teach me where I’ve been going wrong trying to make something Brit-friendly. Base sauces are no longer a total mystery, and this book has also broken down recipes in such a way that making alterations and substations to a curry is no longer intimidating. 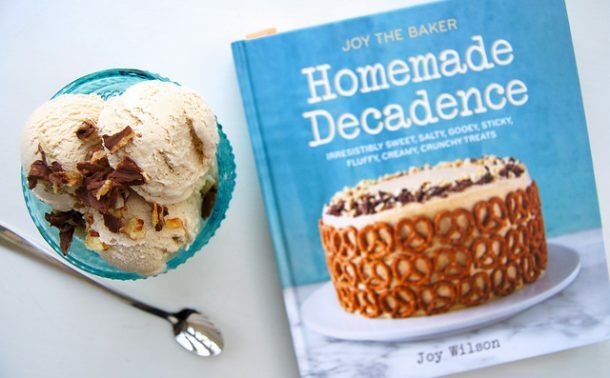 Okay so this is the one cookbook everyone will be getting for Christmas this year, but please don’t let that put you off because there are so many reasons to be really, really excited about this book. While I’ve taken recent Jamie Oliver books out of the library and tried a few recipes, I’ve not loved a Jamie book since Jamie’s Comfort Food (now sadly out of print) as I’ve felt they’ve been mass market books which are great in helping people cook, but they’ve been a bit lacking on recipes with two things that I think are the most important: passion and a story behind them. This book takes Italian food to the next level, taking stories and techniques from Nonnas, the ultimate Italian home cooks to come up with so many new, fresh, flavourful ideas I can’t wait to try: Mozzarella & Tomato Fried Eggs, Pistachio Pasta with Raw Garlic, Tomato, Herb & Lemon Sauce, Polenta Gnocchi with Cavlo Nero Pesto & Parmesan, Sausage Stuffed Braised Celery, Saffron Chicken with Crunchy, Garlicky Almond Breadcrumbs & Masala, Cuttlefish & Potato Stew, Smoked Mozzarella Pull Apart Bread, and Rice Pudding Semifreddo. 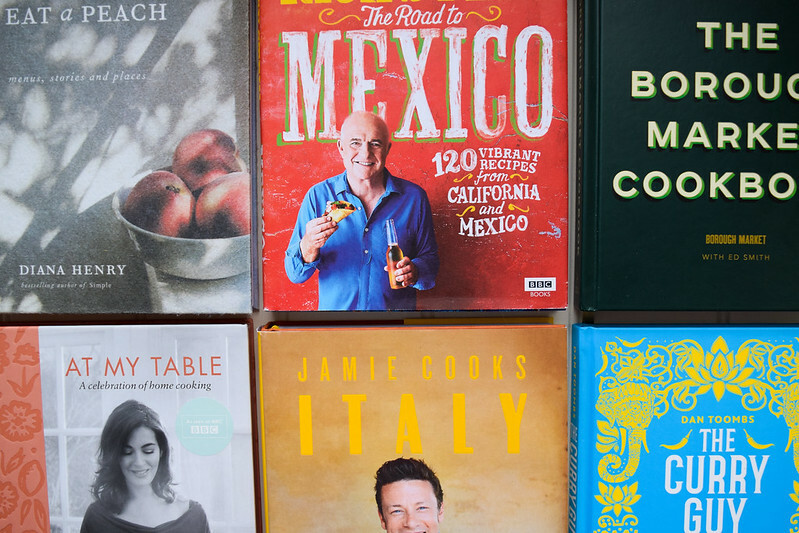 Head over to Instagram to win all of these cookbooks!